Belize NMS: Relatively moist and unstable conditions exist over the area today. 24-hour forecast: Sunny with some cloudy spells today and partly cloudy tonight. A few showers and isolated thunderstorms will occur mostly over central and northern areas today, then mainly over the south tonight. General Outlook: For Tuesday and Tuesday night is for generally fair weather with only isolated showers or isolated thunderstorms during the day and a slight increase over the south during the night. Today E-NE 5-15 kts Choppy 3-4 ft A FEW SHOWERS AND ISOLATED THUNDERSTORMS, DECREASING. Tonight E-NE 10-20 kts Choppy 3-4 ft A FEW SHOWERS OR ISOLATED THUNDERSTORMS MAINLY OVER THE SOUTH. Tomorrow E-NE 5-15 kts Light Chop-Choppy 2-4 ft ISOLATED SHOWERS OR ISOLATED THUNDERSTORMS. Outlook E-NE 5-15 kts Choppy 3-4 ft TUESDAY NIGHT:- A FEW SHOWERS AND ISOLATED THUNDERSTORMS MAINLY OVER THE SOUTH AT FIRST. 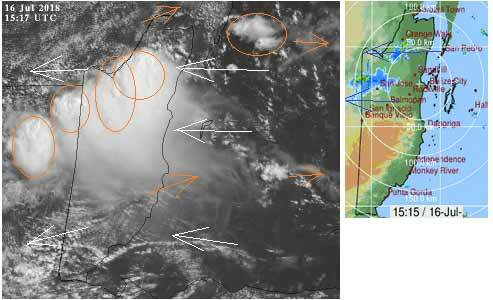 An upper level low is noted on water vapor imagery S of Cuba near 20N79W. Scattered showers are also over the Leeward Islands. Fresh to strong E winds will continue over the central Caribbean Sea through the middle of next week. On Ambergris Caye this morning the breeze is from the East-NE at 6 mph and the sea around our barrier reef is calm. We're having short tropical rain showers while the sun shines. 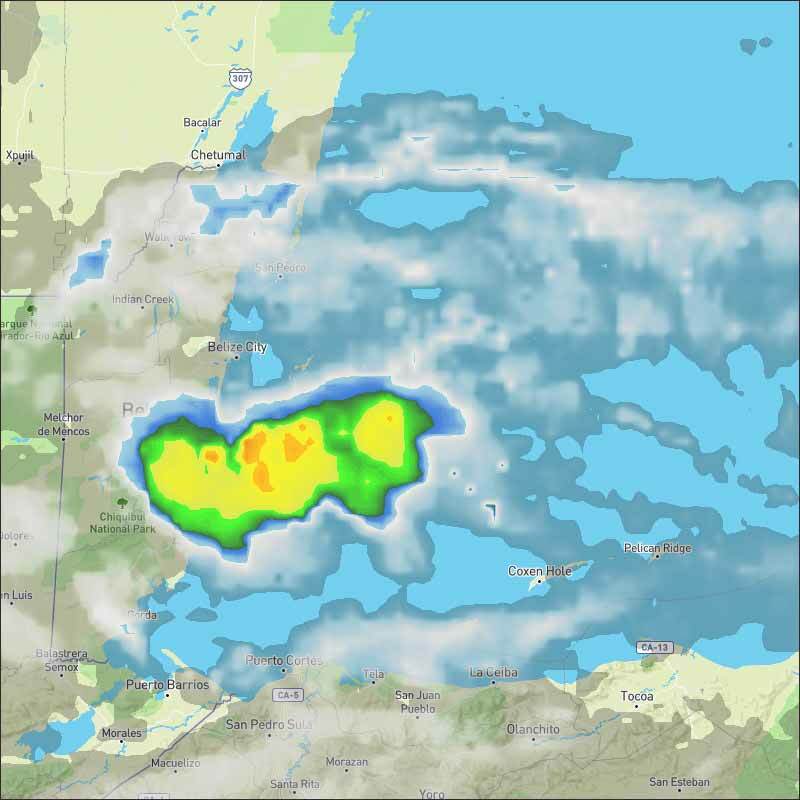 There have been large ITCZ swellups in many places, over much of Honduras and the Yucatan, they last for several hours. There was a significant one causing rain to come in last night to southern areas. Now there is a new cluster over central Belize. 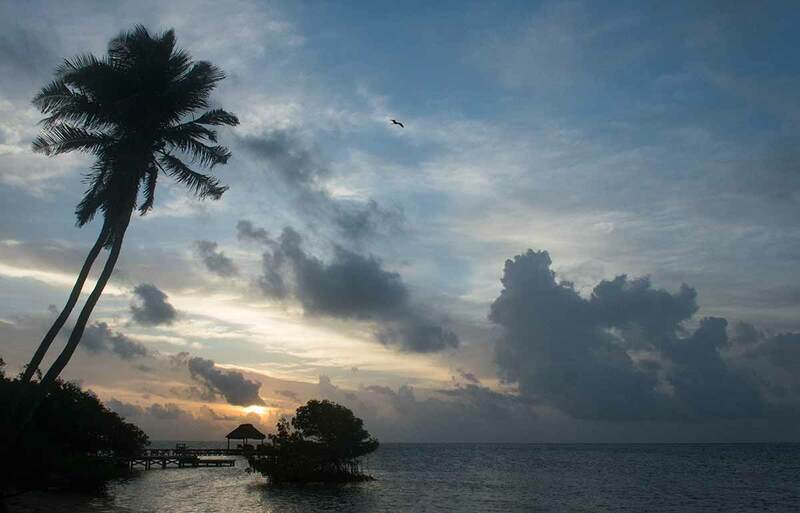 There is sunshine in parts of southern and northern Belize, but heavy cloud over all of central Belize and moving northwards. Looks like today will be a mixed bag, depending on where you are, there is cloud in the easterly Caribbean wind, there will be more rain for some central areas and much of northern Belize, and patches of rain down south later.